The team delegations handbook of the ASBC Asian Confederation Boxing Championships has approved by ASBC President Mr. Anas Alotaiba and shared with all national federations. The ASBC Asian Confederation Boxing Championships for the women elite and men elite boxers will be held in Thailand’s capital in Bangkok in April 16-27. Each National Federation has to register to the competition through on the AIBA Database until March 19. The Asian Boxing Confederation will be organizing five continental events in the current year setting up a new record. All of the age groups and both genders will have the possibility to show their talents and skills in the ring this year to raise the international experiences of our hopes and future stars. The first continental event in 2019 will be the ASBC Asian Confederation Elite Boxing Championships in Bangkok, Thailand in two months. At the very first time in the history of the elite event both genders will be attending in the same time in Thailand’s capital which is scheduled to take place in April 16-27. The ASBC Asian Confederation Boxing Championships will be held in 10 women and 10 men weight classes in Bangkok according to the current AIBA Technical Rules. Boxers who were born between 1979 and 2000 are eligible to attend in the ASBC Asian Confederation Boxing Championships. The competition will be held in the Huamark Indoor Stadium which has the capacity of 6,000 seats. The official accommodation place for the team delegations will be the 4-stars Golden Tulip Sovereign Hotel which has the distance of 5.8km from the Huamark Indoor Stadium. The first historical edition of the Asian Boxing Championships was held in Bangkok, Thailand in 1963. The metropolis also hosted the Asian continental event for the elite boxers in 1973, in 1985, in 1991, in 1992 and last time in 2015. 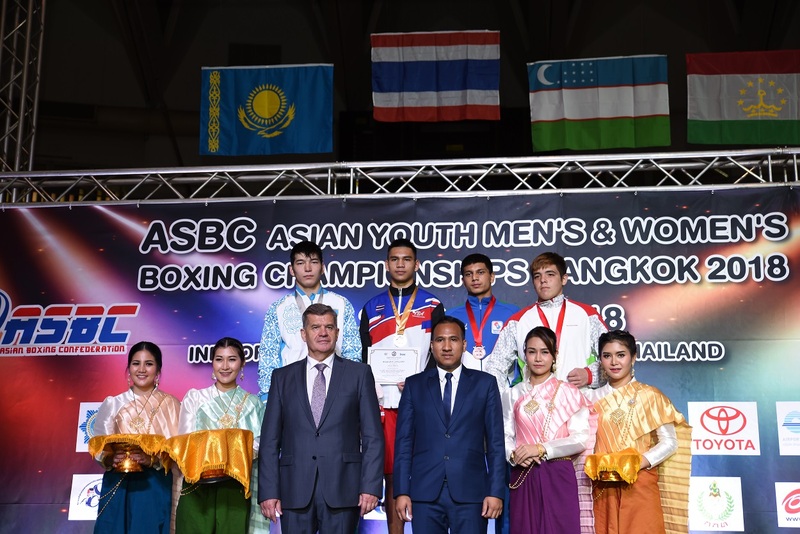 Bangkok has got strong experiences hosting highest level of international events the Thailand Boxing Association welcomed the boxers in the 2017 and in 2018 editions of the ASBC Asian Confederation Youth Boxing Championships. The last edition of ASBC Asian Confederation Elite Boxing Championships was held in Tashkent, Uzbekistan in 2017 but the competition will be returning to Bangkok after four years.